From a land of grassy steppes, nomadic tribes forged one of the largest and most powerful empires the world has ever seen. 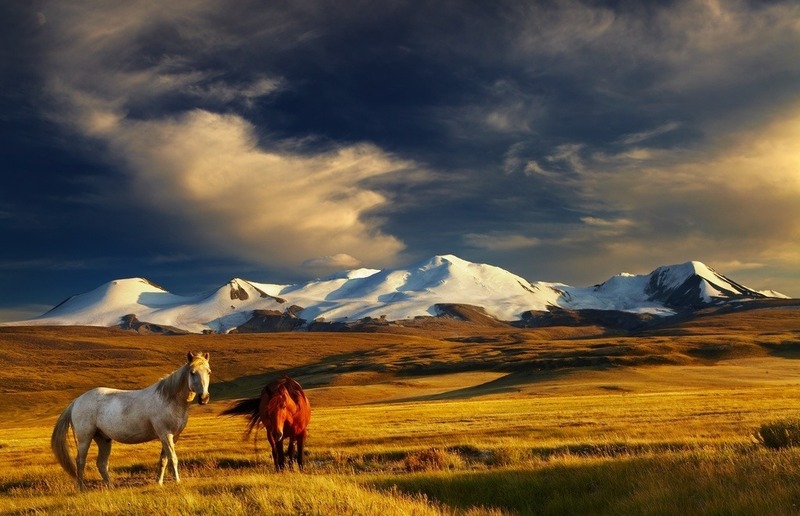 Explore the story of Mongolia from antiquity to the modern era. Human habitation in Mongolia dates back thousands of years, with settlement believed to exist by the year 5500 BCE. 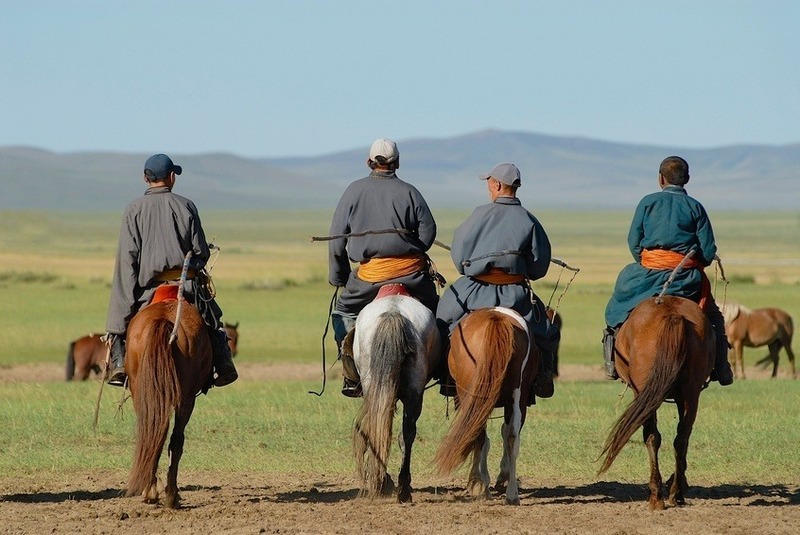 Slowly they developed a largely horse based nomadic culture, which would come to dominate Mongolia and shape the historical perception of the land. As these nomadic tribes travelled around the vast steppes of Mongolia, they came into contact with the nearby powers of antiquity. The main power closest to Mongolia was the vast Chinese empire to the south. From the 2nd century BCE, it became clear to China that the nomads of the northern steppes were becoming a formidable force. The Mongolians developed a power structure, which included titles such as Khan, the Kurultai (Supreme Council) and Keshig (imperial army). It was the threat that the Mongols posed which forced the Qin Dynasty to construct the Great Wall of China in the 3rd century BCE. Various Mongolic empires (including the Xianbei and the Khitans) rose and fell during the first millennia of the Common Era. They besieged far off lands and fought amongst themselves – developing a fearsome reputation under the rule of Khagans (‘one who rules an empire’). In the late 12th century, a chieftain called Temüjin was able to unite a large number of Mongol tribes – and in 1206 took the name Genghis Khan. With a vast army at his back, he swept through Asia with a brutally effective campaign and eventually formed the largest contiguous land empire in history – the Mongol Empire. From Ukraine to Korea and from Siberia to Oman and Vietnam, the Empire covered a staggering 33,000,000 square kilometres (about 22% of the entire Earth’s landmass). After Genghis Khan died, his Empire went the way of Charlemagne’s when it was divided up into separate powers for his successors. One of these, the Yuan dynasty led by Kublai Khan, ruled in China from Beijing for a time – until the Ming Dynasty pushed them back north. With the Yuan dynasty back in Mongolia, the late Middle Ages were marked by intense power struggles amongst the elite. Some rulers were able to unite the tribes – such as Dayan Khan who brought Buddhism to the land in the 16th century. After years of raiding and struggle, the last Mongol Khan (Ligden Khan) died in 1634 – following which all of Mongolia came under the sway of the Manchus, who led the formidable Qing Dynasty in China. Some peoples were nearly annihilated during the Qing conquest. While the country suffered massive loss of life (through both conflict and disease), Mongolia was able to maintain a semblance of autonomy within the Qing Dynasty. However, the land also fell on hard economic times throughout the 19th century – weakening the once powerful people. In 1911, the Qing Dynasty collapsed and Mongolia declared independence. Despite this, the Republic of China claimed Mongolia as its own territory. In the ensuing years, Mongolia was caught between both China and a Russia in the midst of their own civil war. After a ‘White’ Russian General defeated the Chinese in Mongolia, the communist ‘Reds’ established a Mongolian communist force and cleared out the rest of the Chinese from the country. 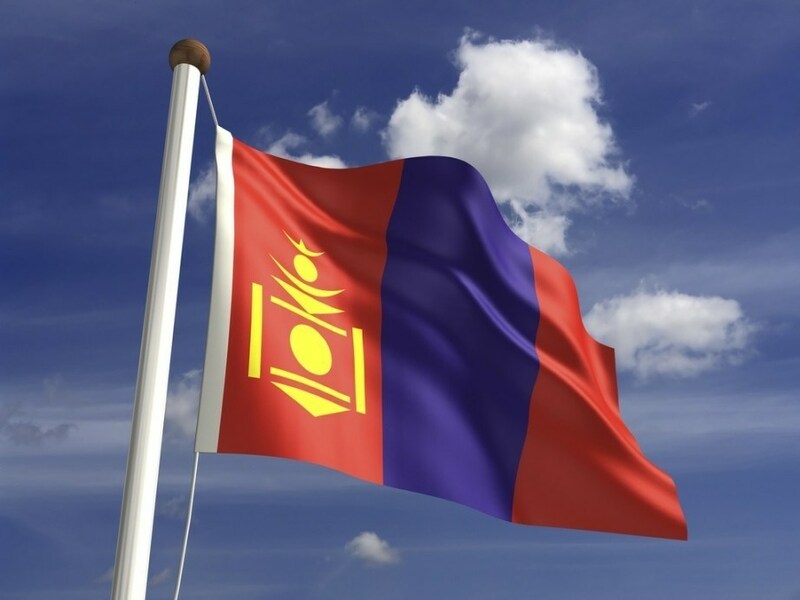 Mongolia declared independence in 1921 and thus began a close relationship with the Soviet Union. However, this resulted in Mongolia beholden to and at the mercy of Moscow. Nowhere was this more evident than during brutal Stalinist purges. Despite this, Russian forces were able to stop Japanese expansion into Mongolia – further cementing what could best be described as a complicated relationship. 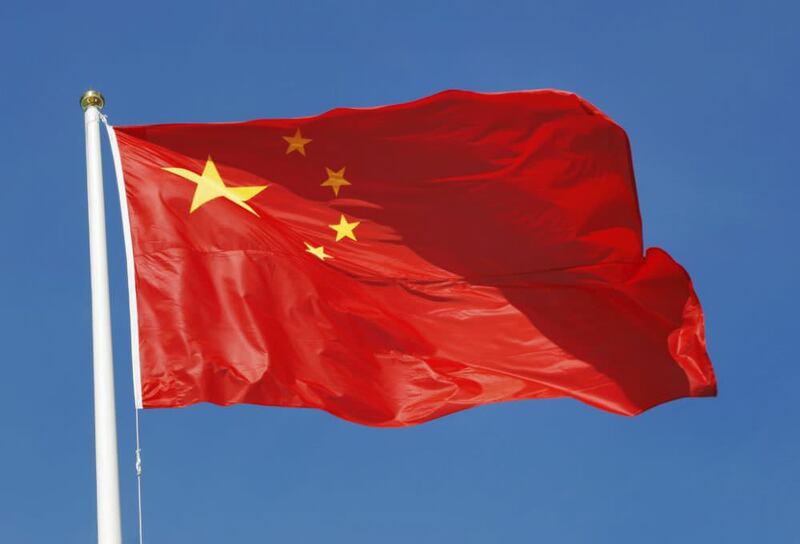 By the end of World War II, it was agreed that Mongolia would maintain its own independence – and years later the People’s Republic of China recognized this fact. After the Soviet Union collapsed, Mongolia peacefully transitioned to democracy and a market economy. While non-communist parties have since been elected, the transition hasn’t always been easy – with economic issues and food shortages hurting the country during the 90’s. While not a major economic power by any means, there are signs that the country is slowly moving in the right direction in recent years. Mongolian culture comes from the country’s long history of nomadic tribes as well as the influx of Buddhism several centuries ago. 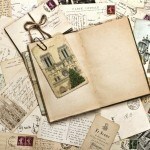 In addition, nearby countries such as China and more recently Russia and parts of Europe have influenced the country. The adoration of heroes and hospitality are commonplace throughout Mongolia, as is an unsurprising reverence for horses and horsemanship. 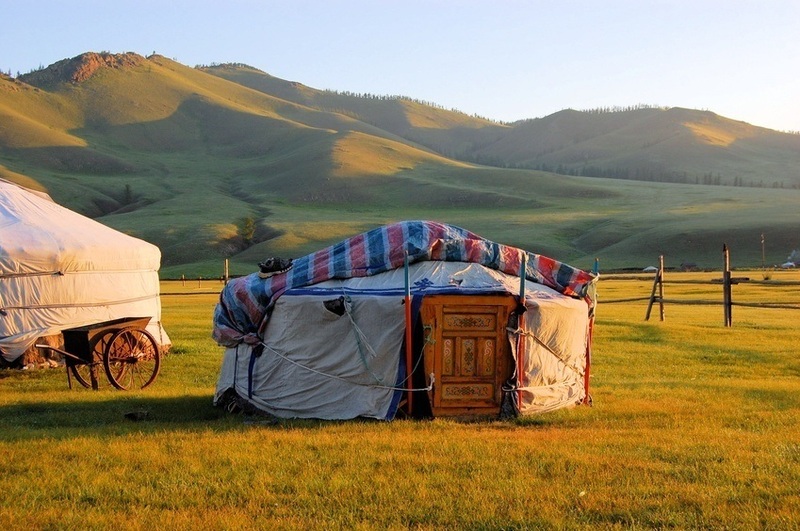 The ger or yurt (a portable round tent) has become a symbol of Mongolia, dating back to the years when the great Khan’s lived in them during their conquests. Even today, many Mongolians use these tents as homes. Mongolian dress remains very traditional, perfected over years of living on the steppes while also adding the occasional modern touch. Omens, both good and bad, as well as superstitions have historically been a part of Mongolian culture. Desecration of sacred sites or stepping on the threshold of a ger is considered to bring bad fortune. Young children were considered at risk of evil spirits, so protection was bestowed upon them before leaving the home at night and the first haircut of a child is considered a momentous event. Food in Mongolia is usually based around meats and spices. Mutton is the most common, though camel meat is also popular in the desert. Dairy products are also widely consumed, coming from local livestock such as cattle, camels, and yaks. Meat stews and pastries are common. The national festival Naadam is a centuries old gathering where participants take part in traditional Mongolian sports – archery, horse racing, and wrestling. Mongolian wrestling is the most popular year-round, and the highlight of Naadam. Shagaa, the flicking of sheep bones at a target, is popular during the festivities. Board games like chess, checkers, and dominoes are also widely enjoyed. Mongolia is a landlocked country sandwiched between China and Russia. 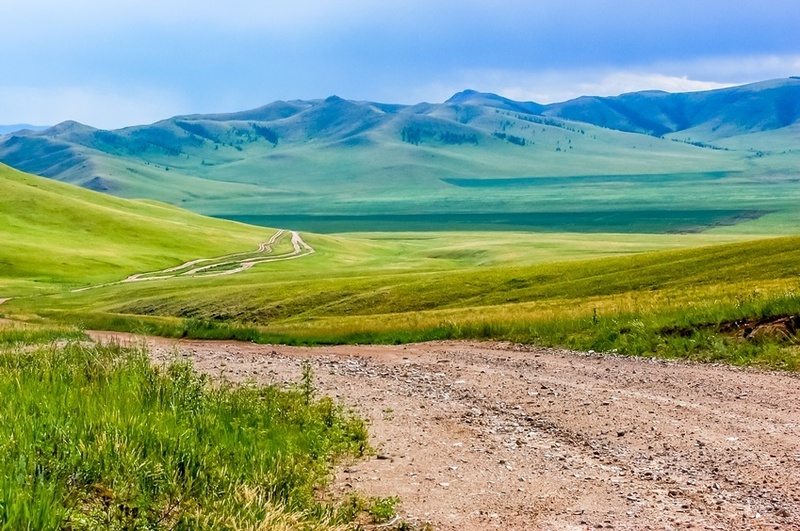 The majority of the landscape is dominated by steppe (non-arable grass and shrub land), however there is variation to be found in Mongolia’s large area. This is largely due to the Gobi Desert in the south of the country while colder mountainous regions are found in the north. During winter months, dzud can occur which consists of extreme weather that kills large amounts of livestock, severely impacting people’s livelihoods. By far the biggest city in Mongolia is the capital, Ulaanbaatar, which numbers over 1.3 million people – or nearly half the people in the country. It serves as the cultural, economic, industrial, and political centre of Mongolia. Darkhan is the second largest city, however it is home to barely 180,000. We could go on and on about the illustrious history and intriguing culture of Mongolia, but we’re going to have to leave it there for now! 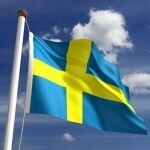 Check back later this week for more on this fascinating country.